Sometimes when visiting countries and hearing the tour guides telling about a particular event or site, I often wonder if this is true or if it is made up. But not in Egypt. From the time the royal child was born, a tomb was started with hieroglyphics on the walls of the events in that child’s life. The one place in the world where I felt they were telling the truth. This trip definitely needs to be done with a tour company. 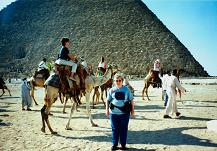 It is a combination of land tour and river cruises and you need reservations and an Egyptologist to tell you everything. You don’t wander in the desert alone!! Cairo is filled with museums and galleries. This is the starting point so you understand the rest of the country. Then there are certain features I look for in the tour. Some tours “add on” some of the best parts while others include them. Also, knowing the time of year to go is important. The heat can get to you. Packing for this trip needs someone who has been there to help you. Being a Muslim country, there are many customs you must respect. Also, knowing how to shop in the bazaars needs some guidance so you don’t fall into a trap!! The biggest issue is the food and drink. Getting sick ruins everything. There are many qualities of river boats. This is an amazing part of the journey. At night they tie up along the river bank, with the first boat out on the outside. If you leave the boat in the evening to go into the town, when you come back, it may be gone for a few hours. The captains are out in the river maneuvering around to see who parks where as they line up alongside each other. Then you walk through the center of each boat to get to yours. This is not a country for anyone with walking challenges. OSHA has not been here and there are many stairs and rocky paths. You feel very regal as you glide along the Nile River. I pictured Cleopatra, and was looking for the “fanning man”. Alas, no one onboard. Then you stop along the shore and go into the various sites and visit all kinds of places. I was going back into the Bible and thinking of Joseph as he was ruler of Egypt. You hear how the pyramids were built and wonder how the whole picture ties together. I asked questions, but the answers weren’t what I wanted. So, I am still studying. One place not to miss is Abul Simbel. Many tours have it as an option. Be sure to add it. It was probably one of our highlights. 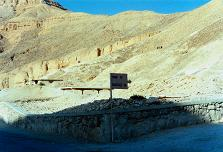 Want to go to Egypt? Talk to me, I have been there and done that, I’ll give you good advise for a fabulous trip! Go see this amazing country.